Today, we’re looking back into the very near past for an in-depth look at the recent English album B’z, with as much information as you could possibly want on the recent English songs! B’z is the self-titled debut English album by B’z, released worldwide via iTunes on July 25, 2012. The five-track album contains new English reversions of a selection of popular B’z singles released between 1998 and 2006. The newly-written English lyrics were a collaboration between Koshi and longtime drummer of the band, Shane Gaalaas. Along with Cory Churko, Shane was entrusted with mixing of the album due to the band’s trust in his familiarity with the B’z sound and vision. “Love Bomb”, an English version of 2005 B’z single “Ai no Bakudan”, served as the opening track to the album as well as the theme to a summer campaign for Pepsi NEX in Japan. Months before, the closing track “Into Free -Dangan-” was made the global theme to the Capcom video game Dragon’s Dogma and was released as a digital single on April 3, 2012. The release was supported by B’z LIVE-GYM 2012 -Into Free-, a seven date tour of both coasts of the United States and Canada in the fall of 2012. 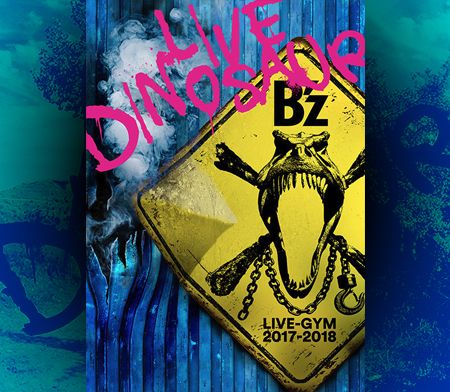 All songs were performed on the tour, with “Splash”, “Juice”, and “Into Free -Dangan-” having debuted in the setlist to the previous year’s tour, B’z LIVE-GYM 2011 -long time no see-. Speculation of an English album had been ripe since the summer of 2011, when the band’s brief B’z LIVE-GYM 2011 -long time no see- tour brought them back to the United States and Canada for the first time in eight years. On the tour, English versions of fan favorites “Samayoeru Aoi Dangan”, “juice”, “SPLASH!”, and “Brotherhood” were premiered to much praise. At the joint charity concert with American band Linkin Park known as the Music for Relief Secret Show for Japan, B’z premiered an English version of “ultra soul” to join the growing list of new English songs. In addition, the English version of “SPLASH!” would be retained in the winter tour in support of their then-latest album, B’z LIVE-GYM 2011 -C’mon-. It would not be until the end of the year that news of the band’s next foreign venture would be realized, when a studio version of the intro to what would become “Into Free -Dangan-” was uploaded as a teaser video on the band’s official website. The video contained footage of various highlights from the previous year and closed with the message “2012 – Into the Beginning”. On February 1, 2012, the silence was again broken when a joint announcement was made with video game company Capcom stating that “Into Free -Dangan-” would serve as the global theme to the upcoming game Dragon’s Dogma. Simultaneously, the official B’z website was updated with a sample of the song now serving as the intro video. Shortly thereafter, a trailer with footage from Dragon’s Dogma was released with a shortened version of the song playing alongside scenes from the game. The next flurry of B’z news came in morning newspapers across Japan on April 3. In addition to promoting the upcoming 50th single from the band in “GO FOR IT, BABY -Kioku no Sanmyaku”, it was announced in the full page advertisement that digital single “Into Free -Dangan-” was available worldwide on the iTunes Store from that day. In addition, a brand new international tour titled B’z LIVE-GYM 2012 -Into Free- was announced for seven dates in the United States and Canada. For the first time, B’z would be visiting the East Coast of the U.S. with stops in Silver Spring, Maryland and New York City. The June 2012 issue of Be With! was sent out to B’z Party members in the beginning of July, and it was then that the existence of “Love Bomb”—an English version of “Ai no Bakudan”—became known to the public. Work on the song had begun at the beginning of the year and conveniently fit the window for the Pepsi NEX summer campaign, for which it soon became a theme. As the band prepared for the upcoming tour, which was to be their largest international to date, it was finally announced on July 13, 2012, that the English songs debuted live the previous year would finally see an official release two weeks later on July 25. All of the reversioned songs apart from the English version of “Brotherhood” were announced to be included on the five-track, self-titled album. Along with the promotions for the 2012 North American tour, B’z again partnered with Pepsi for a premium live offering as they first did with “Sayonara Kizu Darake no Hibi yo“. Once more, fans were given a chance to see B’z in very intimate venues should they be chosen as winners after collecting enough points from Pepsi-branded products. This culminated in two live shows billed as Pepsi NEX presents B’z PREMIUM LIVE, with a show on August 30 in Osaka and another on September 1 in Tokyo. These two shows would serve as a precursor to the shows in the United States and Canada, with the setlist partially containing songs prepared for the tour that would commence weeks later. It wasn’t enough material to release it in a full package, and they’re just English versions of already existing songs, after all. And considering that, we thought it’d be best to offer a digital download of what we’ve produced. It’s comfortable for everybody to get it and we were able to release it quickly. It’s also a good way to see how we do on a global scale. What he produced was really good, so instead of hiring a famous producer, we’d go with Shane as we’ve been working and touring with him for a long time and he knows B’z music very well. Shane also gave us advice on songs that might turn out to be interesting in an English version. We also wanted to perform these songs live, so they had to be songs that worked well in a live setting. Basically we’d start with Koshi’s part of the work. We’d change the lyrics while listening to them and I’d fix the melody here and there, but this time it was mostly about the lyrics. Concerning the lyrics, I finally discovered that I could have the same degree of freedom compared to when I write lyrics in Japanese. That’s when I returned to the same concept and started really working on the lyrics. Then Shane helped me with picking songs and gave me pronunciation advice. I spent most of my time working with him. All music and guitar by Tak Matsumoto. All vocals by Koshi Inaba with English lyrics co-written by Koshi Inaba with Shane Gaalaas. The last of the songs to be reversioned for release, “Love Bomb” would serve as both the theme to a Pepsi NEX commercial and the opening song of the Into Free tour two months after its release. Like the others found on the album, the song was not just rewritten in English but was also completely re-recorded. The subject matter of the English lyrics are a different take on the concept of a “Love Bomb” compared to that of the original, “Ai no Bakudan”. Where the original is concerned with “love” in the sense of disposing of jealousy and loving others in its stead, the English version takes a more directly romantic approach. The song also contains an excerpt from Ronald Reagan’s 1964 Cold War speech “A Time For Choosing”. During live performances, this was omitted in favor of a breakdown that then led to the guitar solo. The first English version to be recorded, it was also the one performed most often by the end of 2012, having been included on the setlists for the 2011 tours of long time no see and C’mon, and later that of Into Free. Shane Gaalaas was deeply involved in the project of producing English songs and chose “Splash” as one of the songs he most felt would benefit from an English rendition. Koshi reported in a follow-up interview: “We saw that Shane really wanted to do “Splash” as he put a lot of energy and enthusiasm into it. He was working towards that from the beginning. Doing an English version of “Splash” was really a success.” Outside of the primary lyrics of the song, a new Japanese line can also be heard that wasn’t present even in the original. Likely the song that has changed the least musically, “Juice” is a fairly direct reversion of the original song. An early demo was uploaded to the band’s YouTube channel as an unlisted video where it played over a “digest” compilation composed of footage from past LIVE-GYMs. The video was accessible by scanning a QR code in a newspaper advert that was in Los Angeles newspapers for the 2011 tour. This version had the English lyrics playing over the original music and was not yet a re-recording. Some small differences persist between the demo version and the original version, such as the “Baby, it’s alright!” lines being omitted in the final English rendition and a change in the first line of the song. Later, to promote the new album and tour, a new video was uploaded publicly with the final English track replacing the demo version over the same digest footage. The English version of fan-favorite “ultra soul”, the English version was actually written the previous year prior to the long time no see tour. As Koshi explained: “We did most of the lyrics during last year’s tour, but we came to think that a lot of people would rather listen to the Japanese version [for that tour], so we performed it in Japanese last year.” This version of the song was finally debuted later in the year at the Music for Relief Secret Show for Japan but would not be heard again until the release of this album. Koshi explained in a J-WAVE radio interview alongside Tak that the structure of the original version made an English rendition quite difficult in some regards, but both expressed great satisfaction with the resulting tune. Due to the immense popularity of the original, it was stated by the band that they do not expect to perform the English version over the Japanese one in the near future, with Koshi stating the English rendition should be considered a “2012 special” for now. The very first of the new English versions to be premiered live, “Into Free -Dangan-“—then simply known as “Dangan”—was used as the opening to the band’s 2011 North American tour. When compared to the original version of “Samayoeru Aoi Dangan”, it remains the song that has changed most as far as composition and arrangement. Strings were added in an extended intro to the song with the entire arrangement receiving an overhaul to make it best suited to the new melody and lyrics. When it was chosen by the band to be the theme song to the video game Dragon’s Dogma, the producers of the game requested that the lyrics be adjusted to reflect the content of the game’s story. This led to the introduction of the line “Dragon inside of me” being introduced to the lyrics. On April 3, 2012, it was released as the band’s first worldwide digital single and would see popularity in a number of markets, especially after the game’s release a month later. The band was very satisfied with the result, with Koshi saying he thought it “turned out to be an extraordinarily great song”. B’z LIVE-GYM 2012 -Into Free- was a LIVE-GYM tour by B’z that toured both coasts of the United States and Canada. The tour began with a show in San Francisco on September 17, 2012 and concluded with a seventh show in Los Angeles on October 7th, 2012, that was streamed live for fans all over the world at no cost. This tour was the first in which B’z performed on the east coast of the United States, with shows in both Maryland and New York. All five songs from the English album were included in the setlist for the tour, along with a number of classics not played in a number of years. This tour marked the first time that “GO FOR IT, BABY -Kioku no Sanymaku-” had been played live and was also the first time since 2006 that “Shoudou” had been performed by the band at a LIVE-GYM event. At the close of the Los Angeles stream, B’z LIVE-GYM 2012 -Into Free- EXTRA was announced as a Japanese extension of the North American tour. The extension provided four dates that allowed for fans back home to get a chance to see the show live, with shows at four different locations, including Budokan and Osaka Jo Hall. The setlist retained all of the songs originally included in the North American tour, but added “Itoshii Hito yo Good Night…” and “HEAT”, the song that B’z recently wrote for Korean artist Kim Hyun Joong. 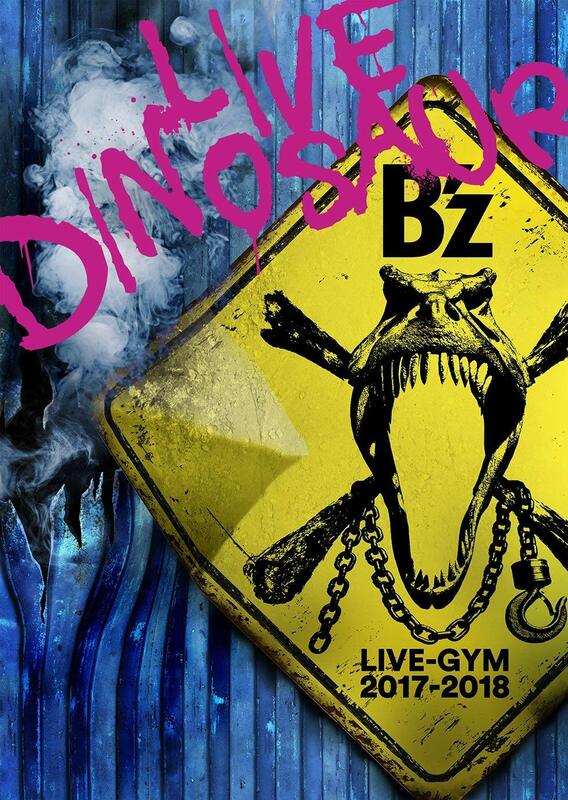 For more information on B’z LIVE-GYM 2012 -Into Free-, please visit its dedicated B’z Wiki page. Full personnel information is pending a physical release or official announcement. Minor correction: Shoudou was played on both 2009 Summer Sonic (2nd on the set list), and 2012 Pepsi Premium Live. Keep up the good work! Thank you for the heads up! I had remembered the Pepsi event, but had completely forgotten it had been played at the 09 Summer Sonic. Good catch! 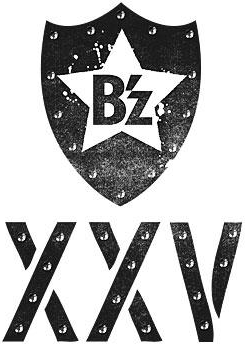 Also, we could use your help on the B’z Wiki if you would like to be involved. It’s a big undertaking, but knowledgeable help is always appreciated! If you’re interested, get in touch here with a reply or e-mail us at our usual address of offthelock.com -at- gmail.com anytime! Thanks for the great retrospective! It’s been a wonderful 2012, looking forward to an even better 2013!